Hello October, hello lower gas prices! As October rolls in, consumers begin preparing themselves for the arrival of two things: Starbucks’ Pumpkin Spice Lattes and higher utility bills. But Illinoisans may be singing a different tune this heating season, because major Illinois utilities are charging consumers 25-27 percent less to heat their homes this October compared with last. Ameren and North Shore Gas show the biggest price drop of all, charging customers about 15 cents per therm less this month compared with October 2014. Not far behind are Nicor and Peoples Gas. Both companies are charging customers roughly 12 cents per therm less. Why the decrease? Temperatures remain slightly above average across most of the country, keeping heating demand and prices down, according to the Energy Information Administration (EIA), the statistical arm of the Department of Energy. This month also kicks off fall enrollment for the Low Income Home Energy Assistance Program (LIHEAP), which is designed to help eligible low income households pay for winter energy services. Consumer advocates are urging consumers who qualify for financial assistance not to wait. Get in touch with the Community and Economic Development Association (CEDA), at 1-800-571-2332, as soon as you can. Even though prices are down, consumers should still take advantage of great energy efficiency programs, such as the Peoples Gas and North Shore Gas Jumpstart Program, which can help slash utility bills. For now, people can enjoy warmer fall weather—and lower gas prices, but they shouldn’t get too comfortable. Winter will be here soon enough, which leaves only a little time to prepare. Beat the chill with these simple tips. 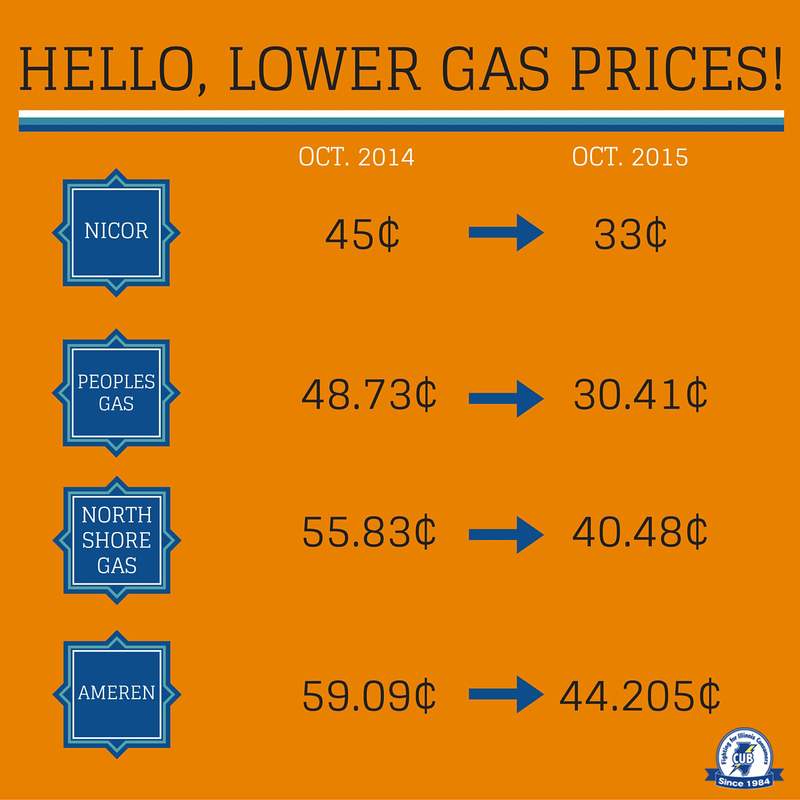 Your ticket for the: Hello October, hello lower gas prices!